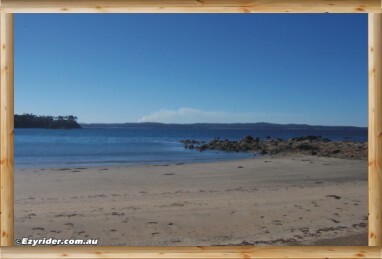 ﻿ Batemans Bay Wimbie Beach Park - Pictures & Information. Wimbie Beach Park, or reserve, is very private. There are no facilities at this park, however, you can walk around to Surf Beach where there are toilets, a take away food shop and a shopping centre. 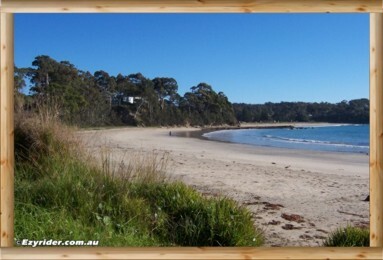 It is about a 10 minute walk and you can see Surf Beach from Wimbie Beach. 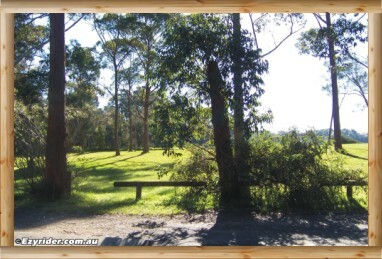 The thing about Wimbie Beach Park is it is 'quietly-private', with trees for shade and grassed areas for a picnic lunch, or just relax and take in the view. 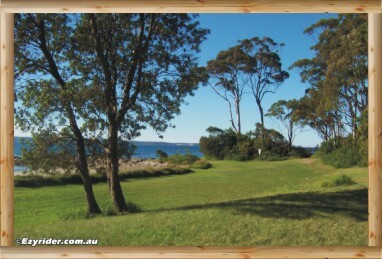 The beach backs onto Wimbie Beach Park. 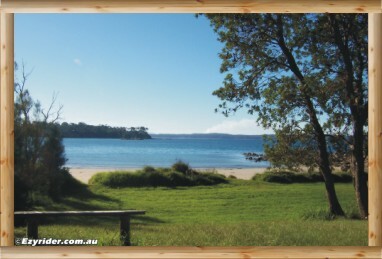 A map location of Batemans Bay Parks is located at the bottom of this page. 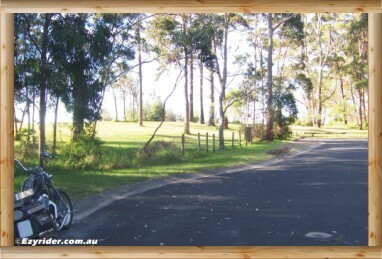 Entering the parking area with the park area around the ridge before Wimbie Beach. A closer look at part of the park area from the car park. The beach is over the ridge. Looking nth-west showss a larger park area. 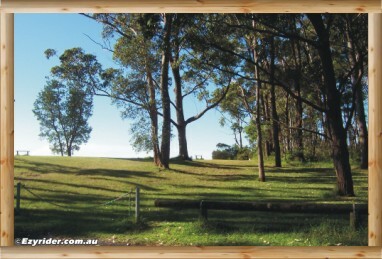 As you go over the ridge there is more grassed area before Wimbie Beach. A seat on the grassed area before Wimbie Beach. Looks peaceful? The right hand side of Wimbie Beach with the rocky outcrop. The beach is very calm and quiet. A good area to relax. Looking towards Surf Beach, seen in the background. 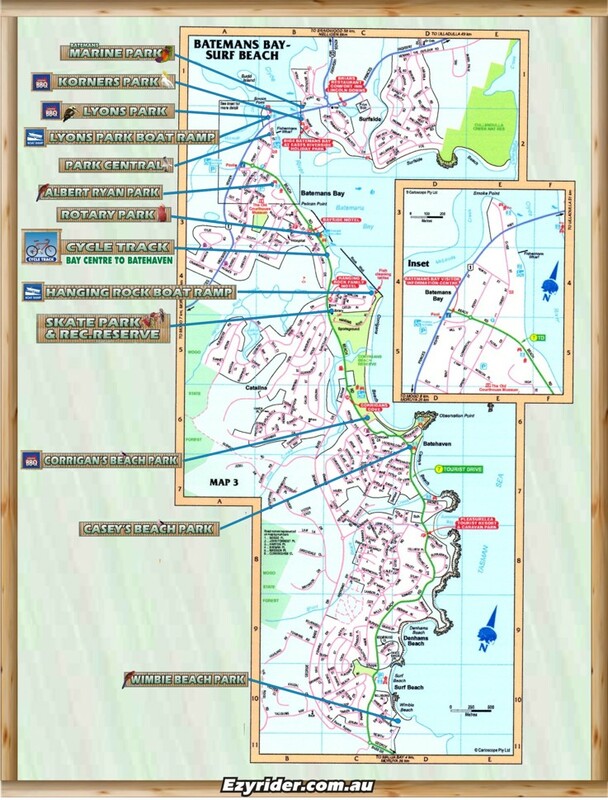 A 10 minute walk to a takeaway shop and other shops.